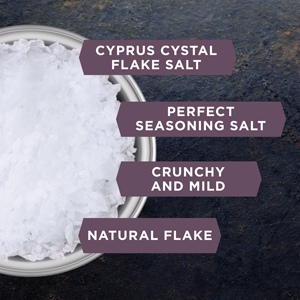 Cyprus Flake Salt comes from the Mediterranean Sea surrounding the island of Cyprus. Using a method that can take up to two years from start to finish, Cyprus Flake Salt is created through the process of solar evaporation of sea water. Water is channeled into a chain of shallow ponds or lagoons called "salins", and then into large pans where the water is gradually heated, forming the dazzling pyramid shapes of the salt. 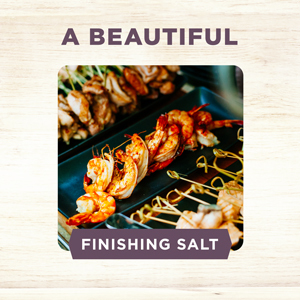 This stunning and delicate gourmet flake salt provides a delightful crunch with the mild flavor of Mediterranean Sea Salt, making it ideal for use in cooking, baking and as a garnishing salt for fish and vegetable dishes. BEAUTIFUL, UNIQUE PYRAMID FLAKES - Cyprus Flake Salt is an incredibly unique salt because of its natural, stunning pyramid flake shape. 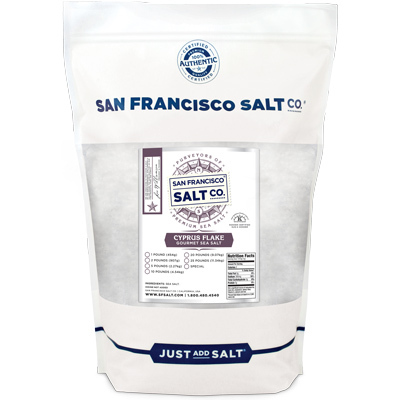 This is an incredibly mild, delicate salt that dissolves incredibly quickly and easily into meals, but can also be used to add a lovely crunch to food when used as a finishing salt. 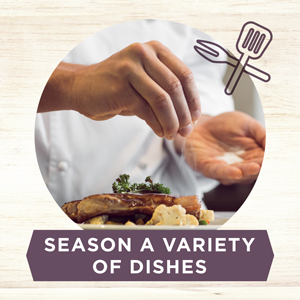 AN ESSENTIAL INGREDIENT FOR PROFESSIONAL & HOME CHEFS ALIKE - Cyprus Flake Salt enhances the natural flavor of any food it touches. 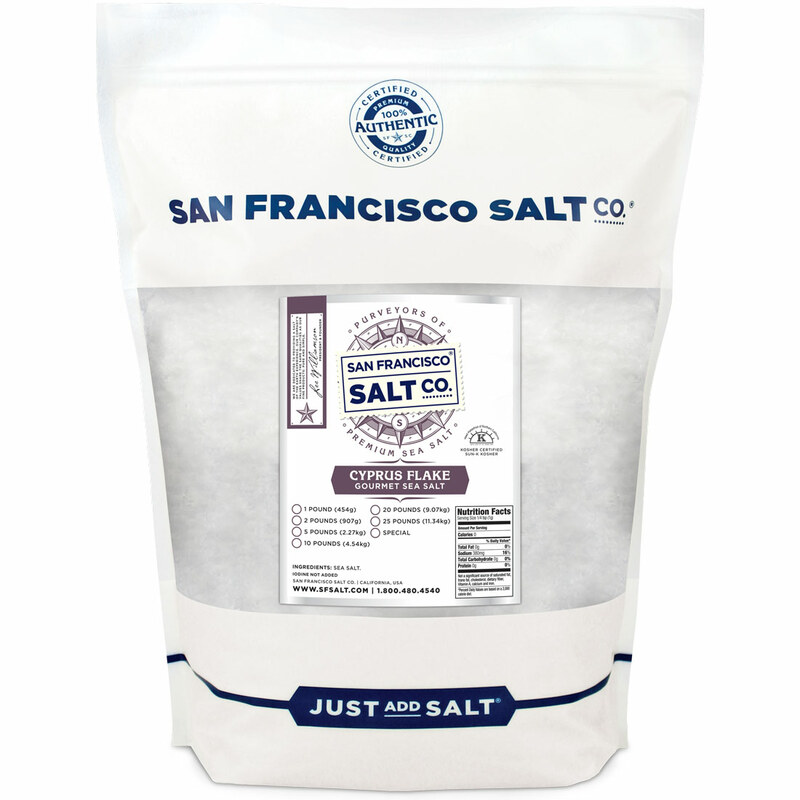 Use this salt on Meats, Veggies, Pastas, Eggs, baked goods, or anywhere else you use salt! DESCRIPTION - Pure & Natural Flake Sea Salt. PACKAGING - 10 lb. Resealable Bulk Bag. 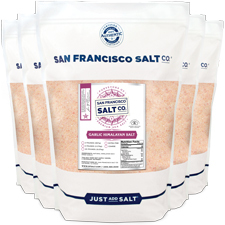 PROPERTIES - Our Cyprus Flake Sea Salt is Kosher Certified, Non-GMO, and does not contain any MSG, Soy, Gluten, Dairy, or anti-caking agents. We package in our U.S.A., SQF Quality code compliant facility. 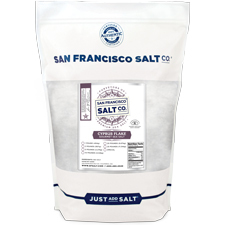 Intensify the natural flavor of meat by using this salt in brines, rubs, and as finishing salt. 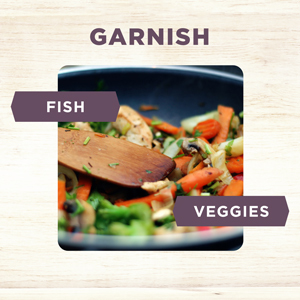 This salt is the perfect finishing salt on fish, veggies, eggs, and more! 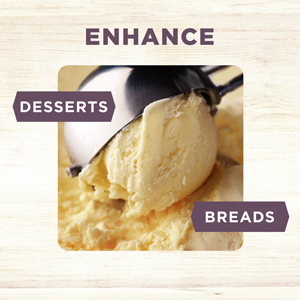 This classic salt is the perfect choice for sprinkling directly on to homemade breads and desserts.